Lymboo Math is an innovative and revolutionary online math enrichment program designed to build a strong foundation in mathematics. The comprehensive and rich curriculum, the unique practice structure, and the rigor, all combine to make Lymboo Math the most effective math enrichment program on the web. The personalized and adaptive program enables children to learn at their own pace and eventually succeed. 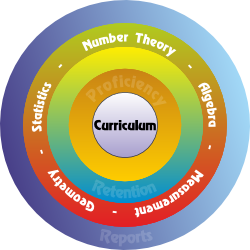 The curriculum emphasizes gradual learning to promote deeper understanding of math concepts and builds proficiency. Students learn the basic concepts first, and they learn them well through daily practice assignments. Once students attain mastery of a topic they progress to advanced topics along strict prerequisites-based curriculum. The structure provides continuous reinforcement, which ensures long-term retention of knowledge. In addition to daily practice assignments, students also do a variety of periodic, progressive review assignments designed to enhance retention. This methodology makes it less likely for students to forget what was learned, and also diminishes the chances that those concepts be retaught in later years. Lymboo Math program provides immediate and valuable feedback to students and their parents or coaches. They have real-time access to history of assignments, reports, and feedback on strengths and weaknesses. 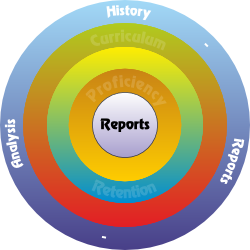 The up-to-date reporting and feedback mechanism is crucial to ensure student success. The Lymboo Math program emphasizes gradual learning to promote deeper understanding of math concepts. Students learn the most basic concepts first, and learn them well through daily practice assignments. All the assignments are timed and students are required to demonstrate proficiency – as measured by LyQ score – before progressing to the next topic. Basic : Just as the name implies, basic problems help the student grasp the fundamentals of a math concept. For example, pure addition and subtraction, identifying geometric shapes, reading time, calculating mean of a set of numbers, etc. Applied : This category of questions improve the ability of students to directly apply their basic skills to solving simple and straightforward real world problems. Critical Thinking : By solving the problems in this category students hone their skills of careful reasoning and analysis. They come up with smarter solutions, faster! Problem Solving : Exposure to solving complex problems, which require students to apply multiple skills, deepens learning and develops methodical skills. The unique structure of Lymboo Math program provides continuous reinforcement of math concepts. 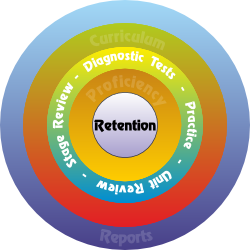 In addition to practice assignments, students also do a variety of periodic, progressive review tests designed to enhance retention. This methodology makes it less likely for students to forget what was learned, and also diminishes the chances that those concepts be retaught in later years. Daily Practice : Daily practice assignments provide the rigor and the discipline necessary to thoroughly understand and learn a concept. Unit Review : While daily practice assignments promote mastery of a skill, it's the periodic unit review assignments that 'cement' the learned concepts and improve short-term retention. Stage Review : Stage review assignments challenge the students to recall a variety of concepts learned over a longer period of time, thereby promoting long-term retention. The Lymboo Math program curriculum is rich and comprehensive. It emphasizes gradual learning to promote deeper understanding of math concepts. The curriculum introduces various mathematical concepts from different perspectives to help students gain valuable insight and appreciate math. Ideas from number theory, geometry, statistics, measurement, patterns, and so on, are introduced at appropriate stages throughout the program. Every new concept builds on skills learned earlier. The curriculum is organized in stages. Completion of a stage represents a significant milestone along the program. Each stage consists of a set of units, and each unit is further composed of topics. A unit can be thought of as a collection of topics that presents a concept from different angles. Progress along Lymboo Math curriuculum is not limited to any traditional school grade boundary. Students start at a stage determined by diagnostic tests and progess at their own pace along the prerequisites-based curriculum. This often allows students to perform above and beyond their school grade levels.